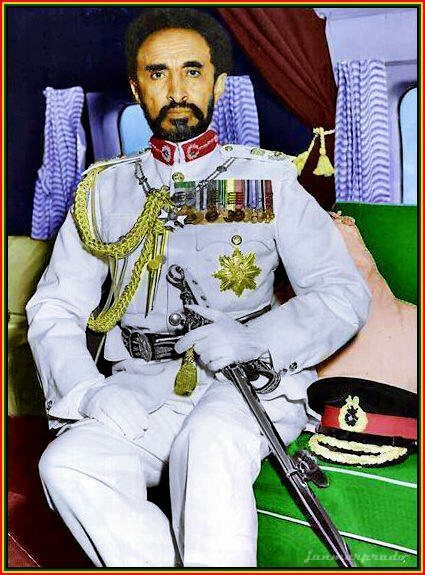 We greet InI again in the name of Ras Tafari King Haile Selassie I, Conquering Lion from the Tribe of Yahuda, King of Kings of Ethiopia and Elect of YAH. 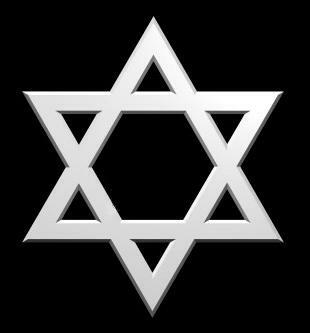 Living through the Royal Lineage of King David, from That time till This time, for Ivermore and the Iverlasting Father for the children of Ysrayl. Here we will give some information about this great man who has and had so much impact in the world, inspired so many people and is revered by many to be the second coming of Christ. and was named Lij (meaning Child) Tafari (meaning one who is respected) Makonnen. 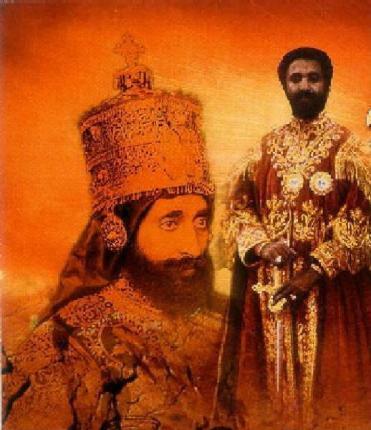 Tafari is the 225th descendant from the Royal line of King Solomon and King David. His father was Ras Makonnen Welde Michael and His mother Woizero Yeshimebet Ali. 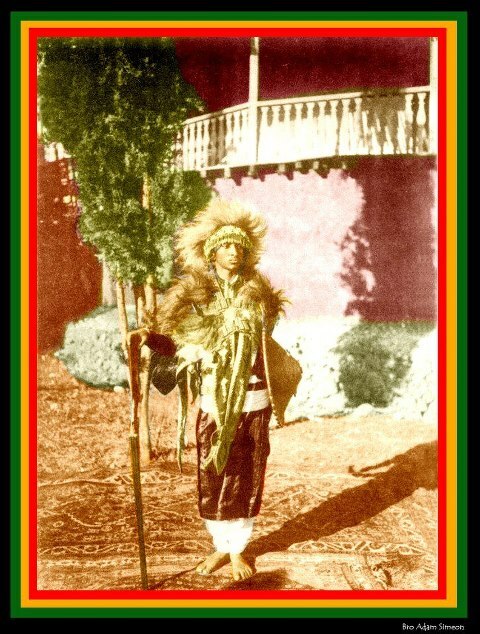 Ras Makonnen was the cousin of Emperor Menelik II and a direct descendant of Negus Sahle Selassie of Shoa from the Imperial bloodline of King Solomon. 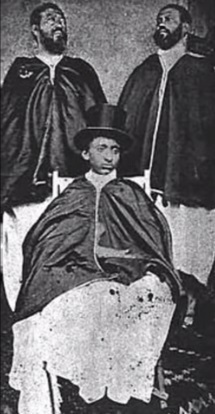 Ras Makonnen was known to be the closest trusty of Menelik and it was widely believed that Ras Makonnen would be heir to the throne until his untimely passing in 1906. He had another son from his marriage before Wayzaro Yashimabet, named Yelma, Tafari’s older brother. 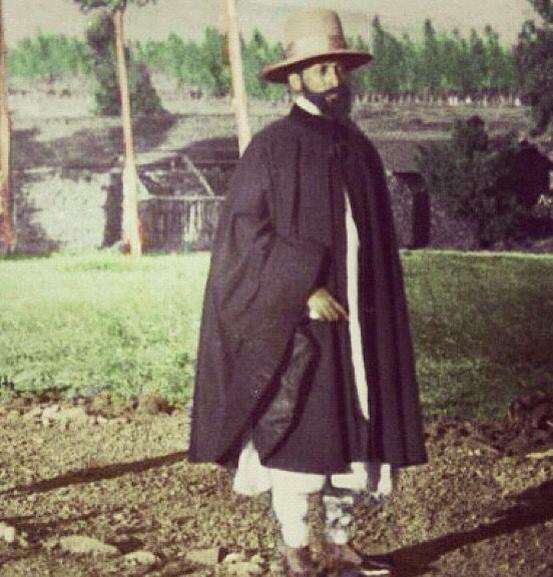 There is not much known about Tafari’s mother Wayzaro Yashimabet Ali, daughter of a nobleman from Wollo. Her name possibly suggests that she was born a Muslim, she passed away 20 months after Tafari was born from complications during child birth. She had already experienced a couple stillbirths and her other children past away at a young age, Tafari was her only child to grew in to adulthood. 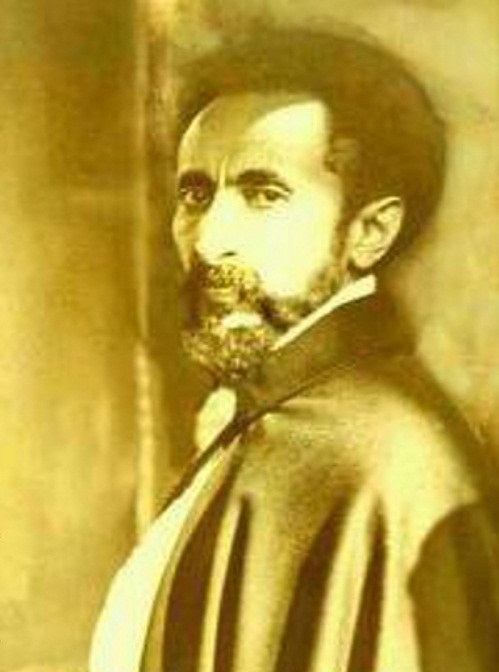 There was a prophesy by a well know Muslim in Ethiopia that accompanied the birth of Tafari… This was that he would grow up separated from his mother and become a great man, ruler of Ethiopia and the pride of Africa, that he would take away the sour and unpleasantness, giving solutions to problems, judging in righteousness for the poor and a cure for humanity. This is why the Koso tree (a tree that cured stomach pains) was planted at the place where his umbilical cord was buried. 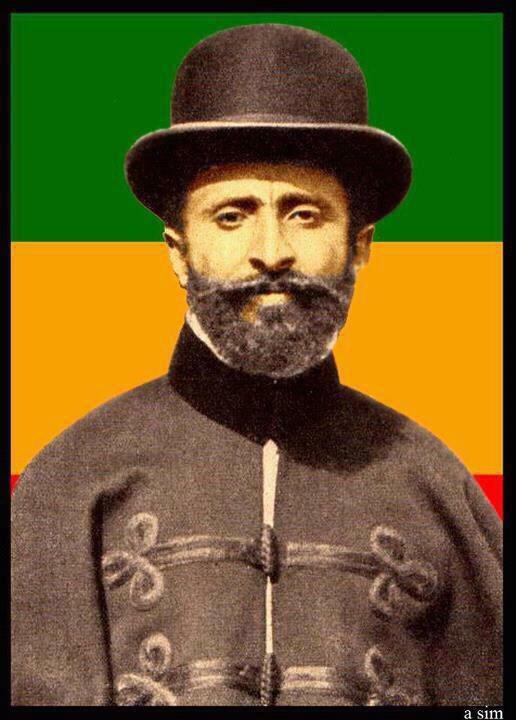 As prophesied, Tafari grew up without his mother. His father knew the importance of learning a foreign language so at a young age he appointed a foreign physician (Dr. Vitalien) to give Him western based education and also an Ethiopian Monk, Abba Samuel, “Abba Samuel was a good man that possessed great knowledge, who applied himself to learning and to teaching, who in goodness and humility gathered knowledge like a bee from anyone, who was devoted to the love of YAH and of his neighbor, and who did not strive to find enjoyment of the flesh but of the soul” (words of Haile Selassie I). They studied together for about ten years (until he was 13), Tafari was an excellent student and performed well in all fields of education. It is also said that Tafari had knowledge about certain religious books he had not read himself yet, often scaring or amazing people surrounding him by showing insight about things he was not supposed to know. 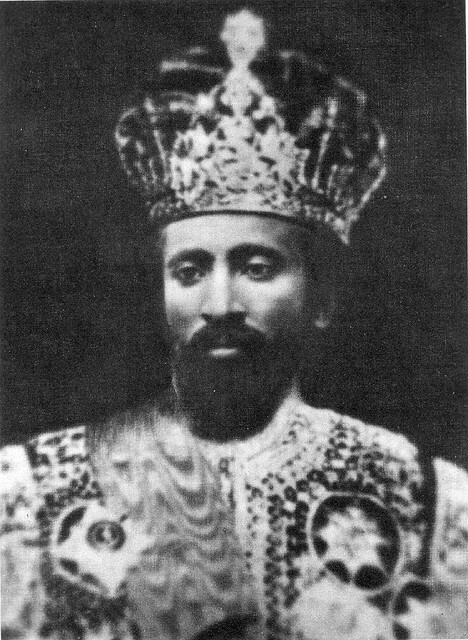 At the age of 13 Tafari was given the Title Dejazmach (Commander) of Gara Mulata, five years later he was made governor of Harar. His Majesty probably met Woizero Menen at the home of her uncle, Lij Iyasu. 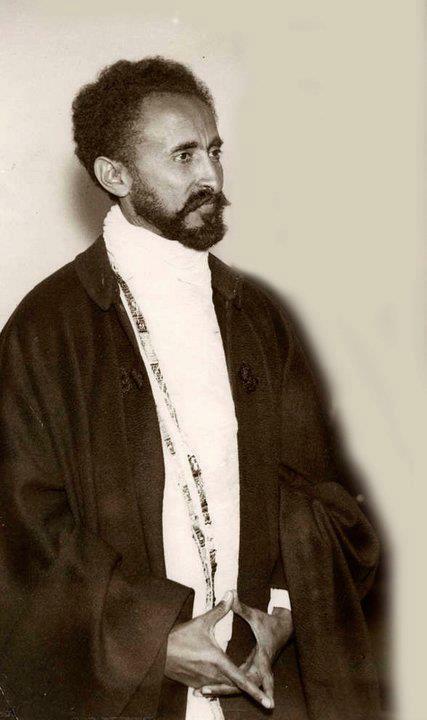 It is said that this joyful occasion may have inspired him to attempt to bind Tafari to him more firmly through marriage ties and therefore arranged the separation of Woizero Menen from Ras Leul Seged, and arranged the marriage with Tafari Makonnen. They were married on third of august 1911. 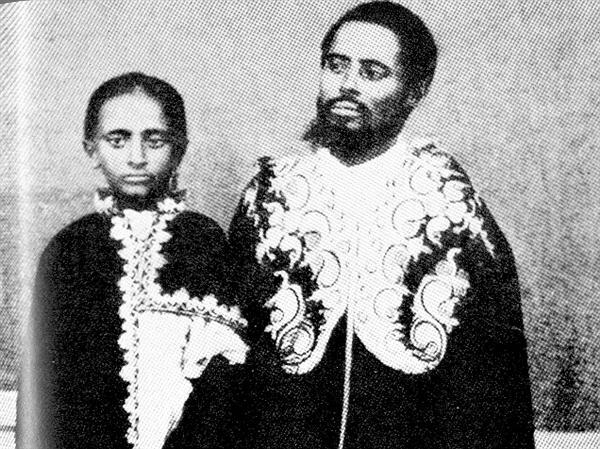 The account given in the Autobiography of the Emperor, My Life and Ethiopia's Progress, mentions no previous marriage or children of Empress Menen and no such order by Iyasu, but states only that at the age of 20, they were married by their own mutual consent. The future Emperor was very impressed by her character and friendly disposition. 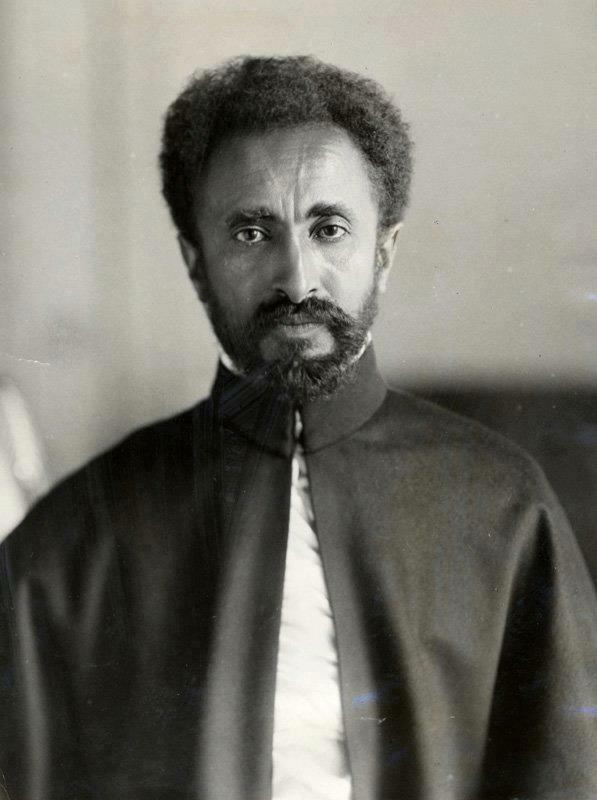 Ras Tafari, then Governor of Harar in His twentieth year said of Itegue Menen "...Her character is such that, apart from goodness, there is no evil or malice in her. Ever since, we were married, we lived together, by virtue of her being fertile, in one family joy, as well as sadness..."
1. Their first daughter: Princess Tenagne Worq was born in January 1913, being christened Fikirte Mariam. She married Ras Desta and then Ras Andargatchew, having six children and many grandchildren. 2. 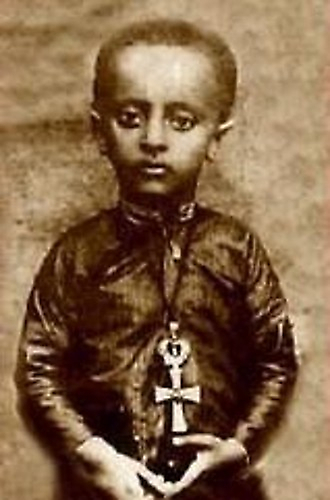 First son: Prince Asfa Wossen, heir Prince born in July 1916. 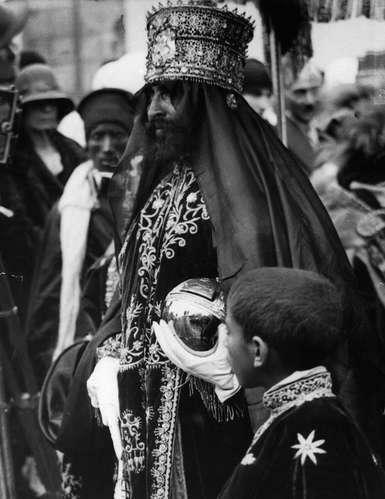 He was christened Amha Selassie. He married first Princess Walata Israel and then Princess Medferiach. He had five children including Prince Yacob. 3. Second daughter: Princess Zenabe Worq, born in July 1918 and christened Hirute Selassie. She married Haile Selassie Gugsa but she passed way in March 1933 having had no children. 4. Third daughter: Princess Tsehay, born in October 1920 and christened Wolete Birhan. She married Galabiye Abebe and passed away in August 1942 without having any children. 5. Second son: Prince Makonnen, later Duke of Harar was born inOctober 1923 and christened Araya Johannes. 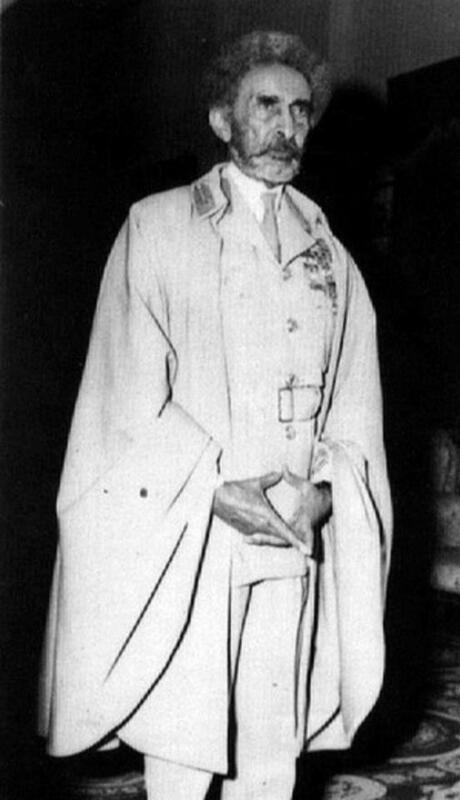 He married Princess Sarah Gizau and passed away in May 1957, having had five sons. 6. 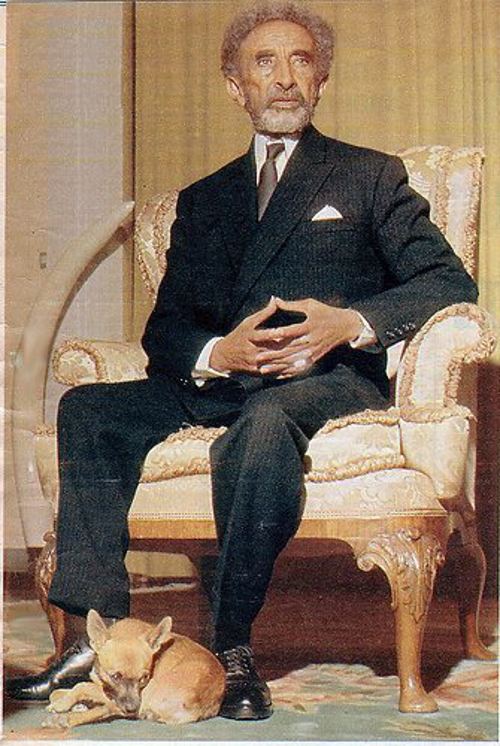 Third son: Prince Sahile Selassie, born in February 1931. 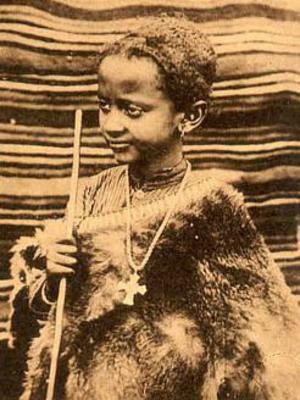 He was christened Aba Dina and was baptised at Mekane Selassie Church in Addis Ababa. 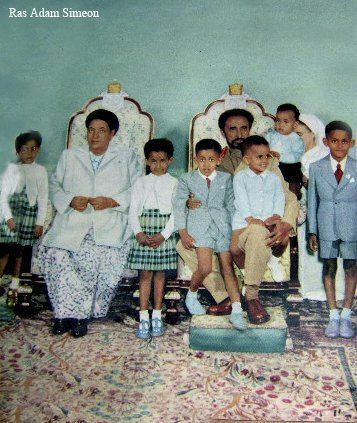 Of these children only three, Princess Tenagne Worq, Crown Prince Asfa Wossen Amha Selassie and Prince Sahile Selassie survived her. 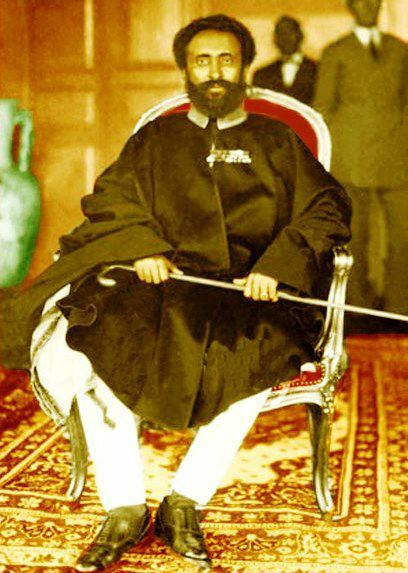 After the passing of Emperor Menelik his grandson Lij Lysay was appointed Emperor of Ethiopia, but after showing disrespectful and scandalous behavior towards the nobles and after he declared he had converted to Islam and announced that he was going to Islamize the Christians of Ethiopia he was deposed from power by the council of ministers. Menelik’s granddaughter Lady Zewditu was then chosen to be Empress. She made Tafari Regent (head of state) of Ethiopia, and heir to the throne which gave Him the title Ras (Head, Ruler). In practice this meant that Zewditu would govern while Tafari administered. Empress Zewditu was not educated as well as Ras Tafari so she relied on the reform ideas that Ras Tafari had when it came to progressive changes. She crowned Ras Tafari as King (Negus) of Ethiopia on October 7 1928. One year and seven months later Zewditu passed away from diabetes. 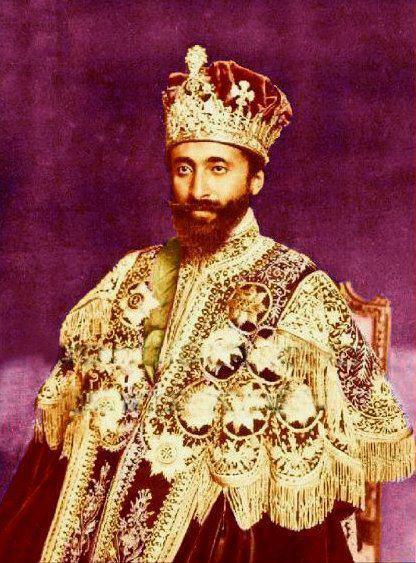 After this, on November 2 1930, Ras Tafari was crowned Emperor of Ethiopia and given His full title “ His Imperial Majesty Haile Selassie I (meaning Power of the Trinity), Conquering Lion from the tribe of Yahuda, King of Kings of Ethiopia and Elect of YAH”. There were royals and dignitaries from 72 nations present at His coronation. 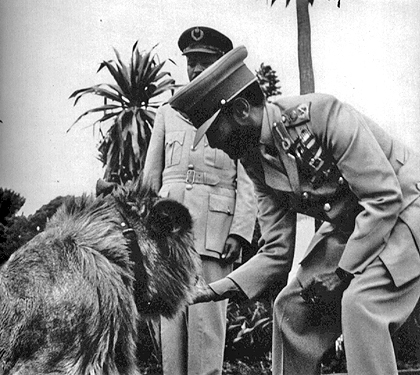 One of His Majesty’s main ambitions for Ethiopia was to modernize it to European standard. Although he did mention "We need European progress only because we are surrounded by it. That is at once a benefit and a misfortune." This thought of change was Inspired by His visits to Europe during his regency and by his father who had built the first modern hospital of Ethiopia, and always urged for progressive changes. His Majesty moved forward with this way of thinking and ruling after He was crowned Emperor. He was now in full power and was able to make most of the necessary changes, although not without resistance from the nobility and Tribal leaders who preferred the more traditional systems. 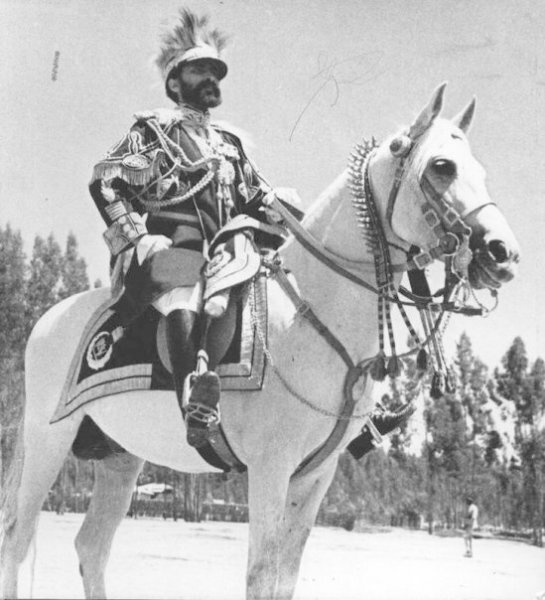 Never the less His Majesty came to agreement with them and Ethiopia slowly transformed from a conservative country with old traditions, to a modernized one that was free, able to progress, with improved living standards and being more a part of the western based societies. 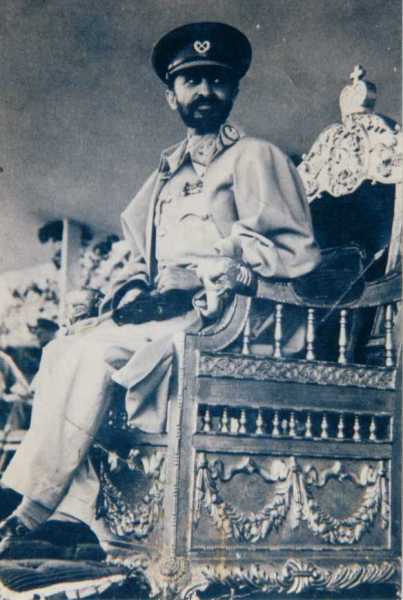 One year after His Majesties crowning He presented the first written constitution of Ethiopia, which meant that the people were not at the mercy any more of influential individuals who decided what was wrong or right and made up their own punishments. People would get their hands cut of for steeling or people would get stoned to death. Now all people had to stick to the rules written in this constitution which created a form of unity and freedom for all Ethiopians. Slavery was abolished, women were treated equally and people had to be taken to court if charged with a crime. 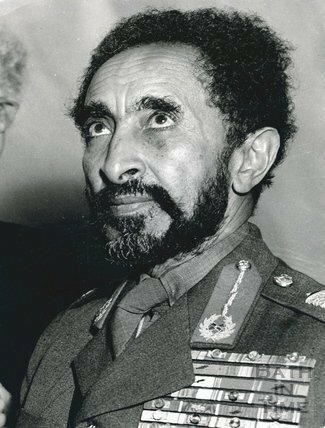 In 1935 Haile Selassie I’s plans of reform and change were disrupted by the fascist italian dictator mussolini, who invaded Ethiopia. The first time they tried they were unsuccessful, underestimating the fierce resistance of the Ethiopian army. The second time they bombed the Ethiopians with mustard gas who had no chance of defending against this type of aggression. 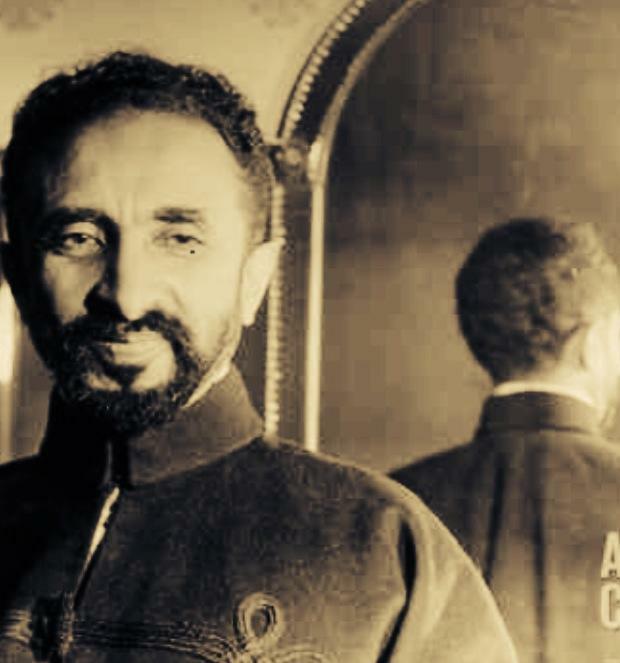 Even though Haile Selassie I wanted to stay in Ethiopia with his people, He was urged by the council of ministers that it would be better if he pleaded for Ethiopia’s cause abroad. In Geneva He made an appeal before the League of Nations to honour the promise they made earlier to protect members of the League, Ethiopia being one of them, from foreign aggression. He warned the league that if they would not follow up on their agreement they would soon be next, adding that it was not only international security at stake, but also international morality. 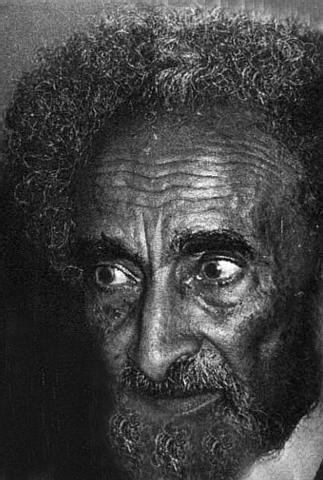 After this Haile Selassie I lived in Bath (england) for five years, using this time to travel the world and plead for the Ethiopian cause. When europe fell in WWII the british finally acknowledged His Majesties previous warning He made during His speech at the League of Nations and decided they would help Him Regain control over Ethiopia. 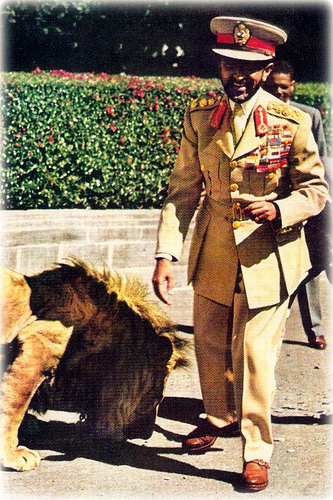 On may 21 1941 (exactly 5 years after his departure) Haile Selassie I returned to the Motherland and regained control over Ethiopia. 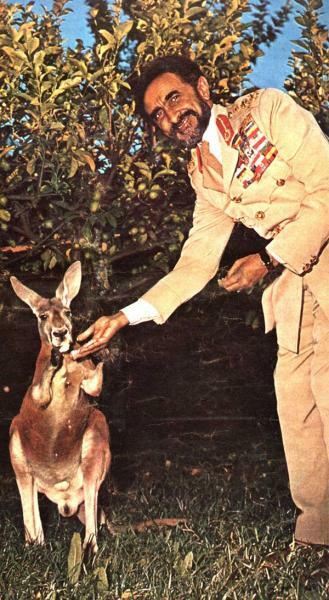 Between 1960 an 1970 Haile Selassie I was world famous and an immensely respected person at this time, and whatever country His Majesty visited He would be greeted by thousands of people standing on the side walks cheering and clapping for Him. 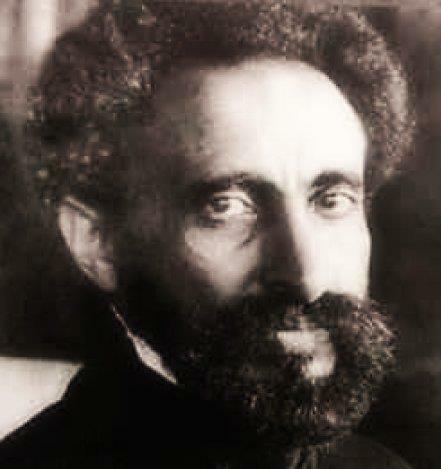 Wherever He went Haile Selassie I always stood up for African Freedom, Peace and Unity. 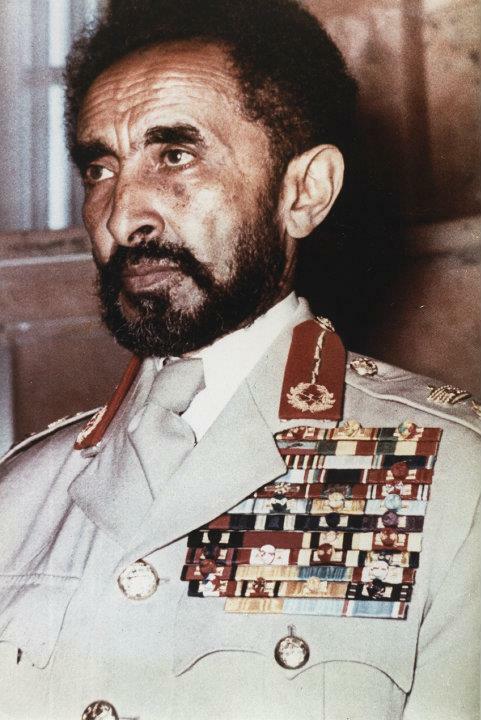 This was one of his other main achievements out side of Ethiopia, being the leader of African unity and freedom. 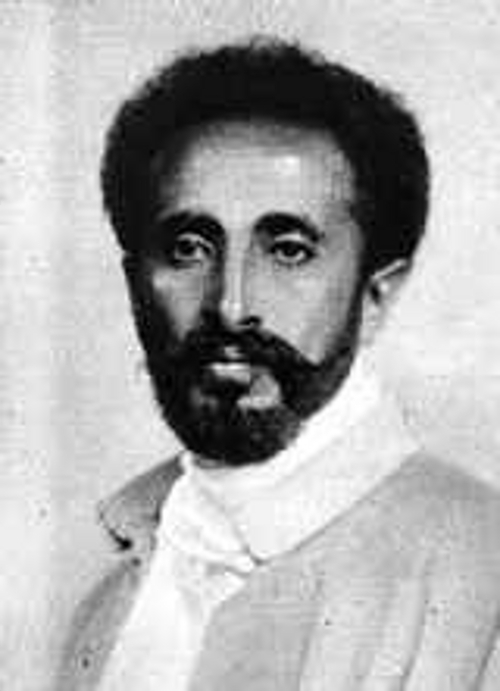 The fact that Haile Selassie I was the architect of the OAU (Organization of African Unity) can attest to that. 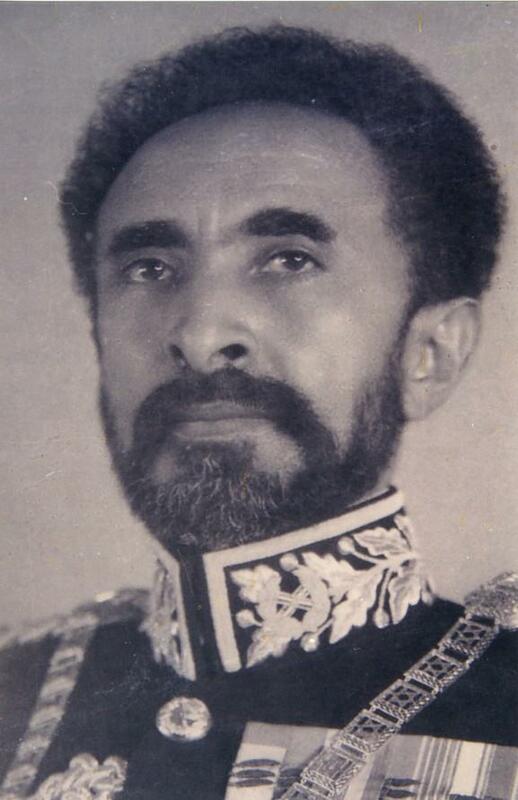 In 1963 Haile Selassie I was elected to be the first chairman of that organization. Before this time Ethiopia had been separated/isolated from the other African countries, and the continent was divided in two groups (the Casablanca and Monrovia groups). 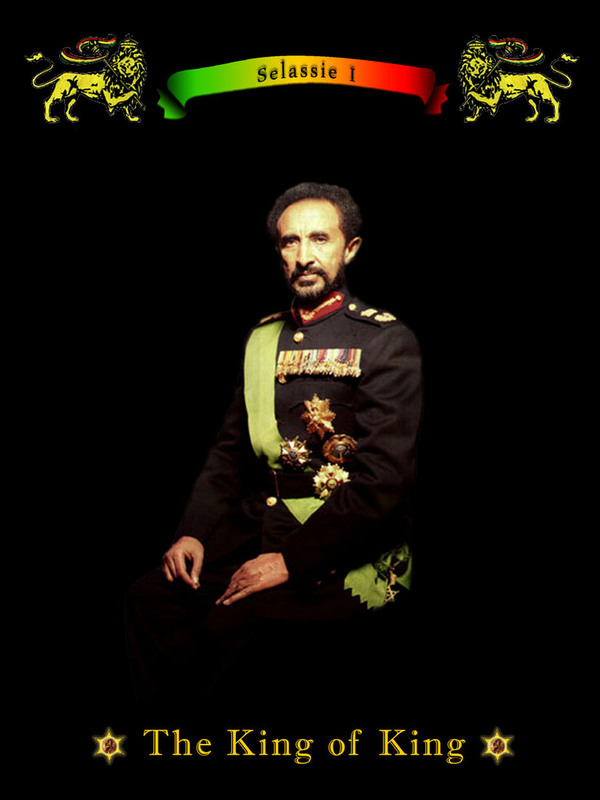 His Majesties greatest achievement however is becoming a role model and source of inspiration for millions of people throughout the world, making them better people living on a Higher level of being, being responsible for the spreading of Love and Goodness on a wide scale through the faith that we Rastafari have in this King, therefore making this world a better and more Loving place with the potential to become even more so once more people get the full overstanding, excepting it and living by it. 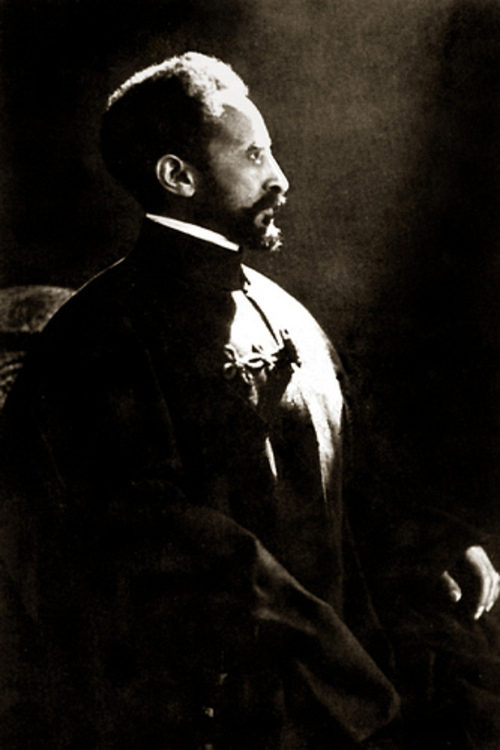 After the many progressive years in Ethiopia, with His Majesty being excepted as the supreme ruler, tension between the monarchy and the people started to arise, especially from the younger more educated generation, even though they had received this education thanks to Haile Selassie I and benefited greatly from His earlier reforms. 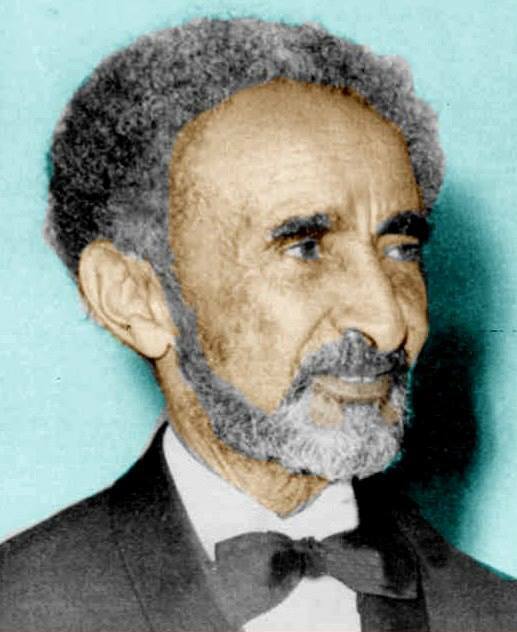 They wanted more freedom, land grants, more modernization and less power for the nobility, Haile Selassie I was caught in the middle and it was impossible to please all sides. 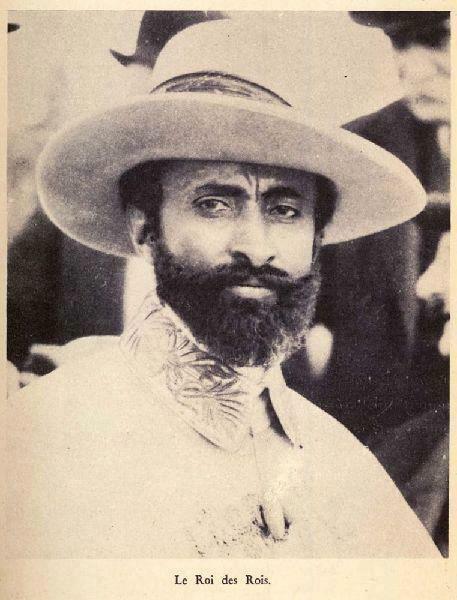 His Majesty was always able to keep a balance between the Nobility, Tribal leaders and common people, but as time went by the modernized educated Ethiopians wanted more reforms that would make an end to the older traditions. The derg led by colonel mengistu took over and caused the 7th worst genocide in the world between 1975 and 1978, being responsible for an estimated of 1.500.000 victims. 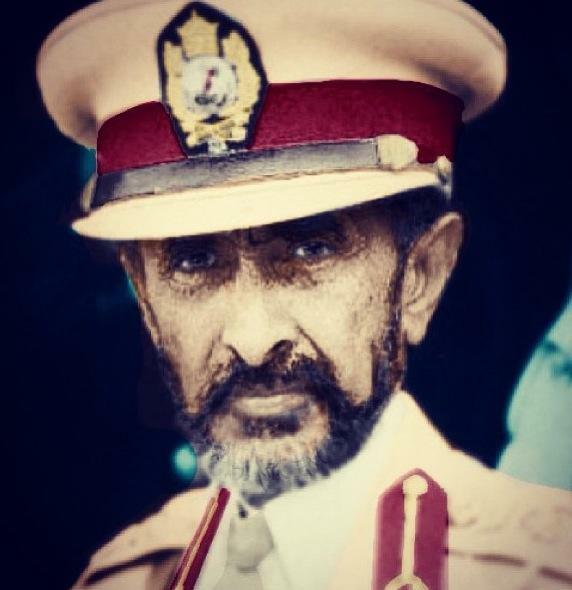 It is said that His Majesty passed away in 1975, although many Rastafari hold the faith that Haile Selassie I is still alive and resting in a place where He cant be found, maybe mount Zion, in the Hills of Itiopia or somewhere else, acknowledging H.I.M. as the Christ or YAH, a being that cannot die. This is a possibility as Life is very mysterious and full of unexplainable things that most of us don’t have the full grasp of. His Majesties body was never found after His disappearance in 1975. Although claims were made that his remains were found in 1992 in his palace. 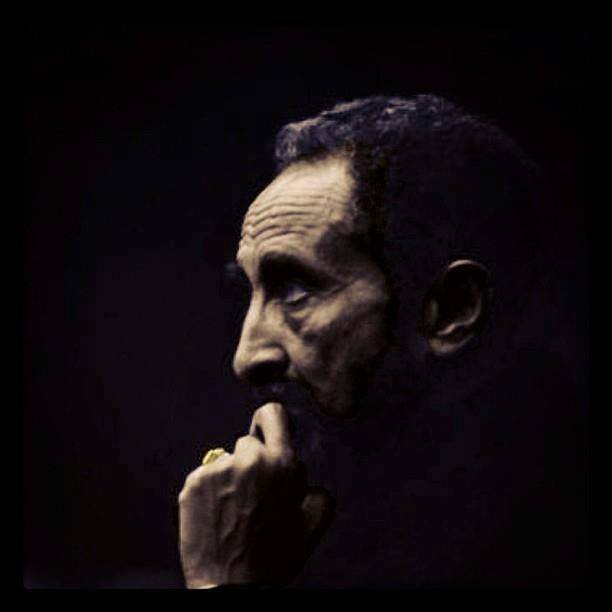 It is said that the length of the bones were too long to be from Haile Selassie I, so for I&I there is no hard proof for this, and is a matter of faith or speculation. 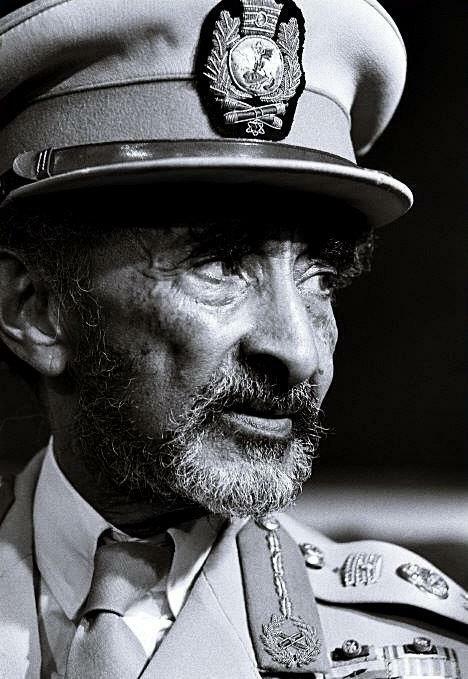 There are some different opinions in how Rastafari think about Haile Selassie I’s liveliness, but One thing is for sure and that is that Haile Selassie I Lives on in the hearts and memory of many many people, and has inspired many people to do good and will continue to do so for as long as we live. 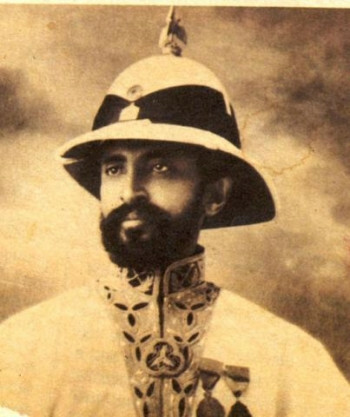 His expected re-arrival by some can also be seen in a less physical way in a form that the Consciousness, Raspect and Acknowledgment about Rastafari will Rise to Higher Hights (outside of the Rastafari community) because now it’s only the Rastafari that have this real deep Faith in Haile Selassie I. But when more people of the world start to overstand what we overstand and how legitimate we are, the return of Christ can be in their hearts to. So a physical return or not, either way is good, possible and meaningful. 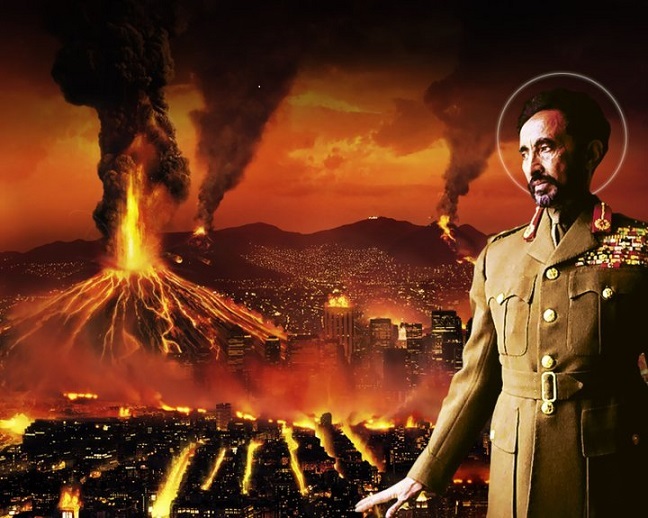 There are some different viewpoints that people have about how Haile Selassie I. 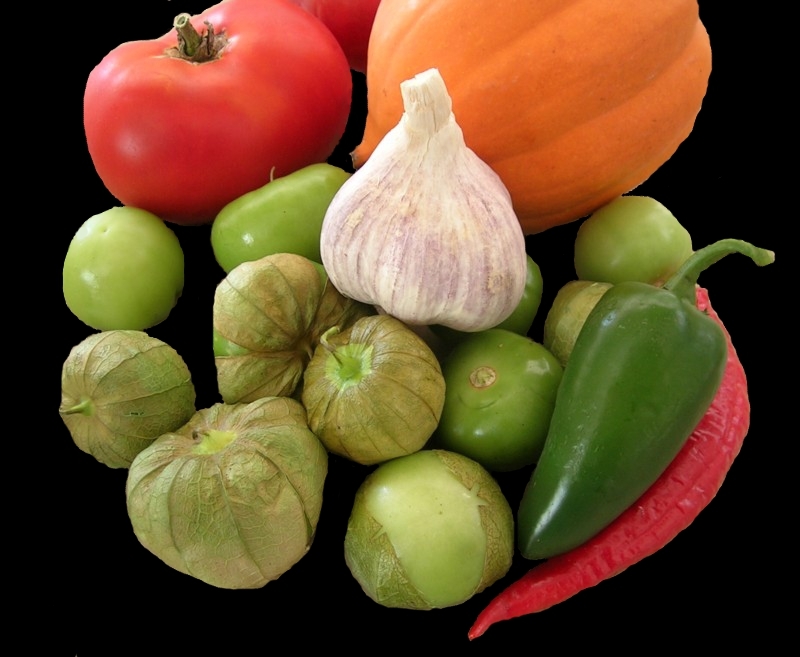 Ranging from the Highest to the lowest, here are some general ones of them. 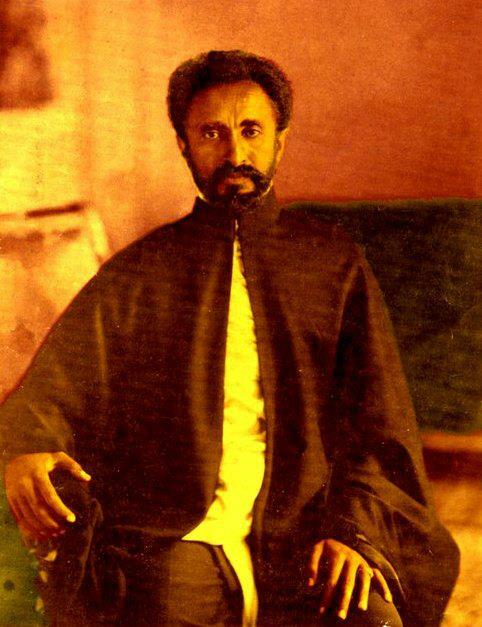 the highest form of devotion shown to Haile Selassie I is by Rastafari who know that His Majesty is YAH itself. When we reason with someone who has this faith, we will often find that there is no doubt in that persons mind about this, it is something they Know and not something they believe in. This level of faith can be very valuable as it is the highest and most difficult to reach, but the Ible says “blessed are those that believe but see not. Because some things are impossible to prove, but are still a reality. 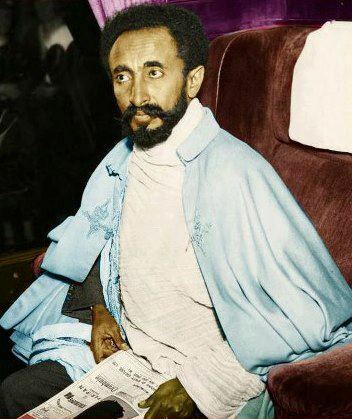 Another reason why many Rastafari see Haile Selassie I as YAH the Almighty Creator besides from personal experience, is probably because of the Ethiopian Orthodox Church who believe that the son of YAH the Christ (Yahshua) is YAH Himself in one person (The Holy Trinity). This subject has always been up for debate in all christian religions, but we can’t see anything wrong with this idea (even If it would not be factual) because it motivates people to the highest level of reverence and obedience which has great benefits. Maybe this level of devotion is harder to achieve for some if they thought it is “just” a man we are honoring. There are Rastafari who hold the faith that His Majesty is indeed Christ, but not YAH Itself and see them as two different entities. The main reason why people see Yahshua as the son of God, comes mainly from one passage in the Bible where Yahshua answers the question about who he is, saying “‘Your father Abraham rejoiced at the thought of seeing my day; he saw it and was glad.’ ‘You are not yet fifty years old,’ the Jews said to him, ‘and you have seen Abraham?’ ‘I tell you the truth,’ Yahshua answered, ‘before Abraham was born, I am! (John 8:56–59). I AM the Bread of Life(John 6:35,41,48,51);I AM the Light of the World(John 8:12);I AM the Door of the Sheep(John 10:7,9);I AM the Good Shepherd(John 10:11,14);I AM the Resurrection and the Life(John 11:25);I AM the Way, the Truth and the Life(John 14:6); and I AM the True Vine(John 15:1,5). Other then this we don’t have much indication that Yahshua is indeed the same entity that created the whole universe. 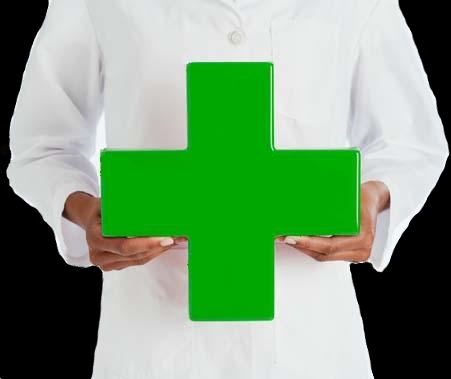 There are also passages that indicate that the two are different entities. So we overstand that there are Rastafari that don’t want to take it so far as to see His Majesty as YAH, as Biblical evidence for that is thin. Regardless of this there is acknowledgment of His Majesty being the Christ, who is also someone to be revered and honored and is seen as reference point that gives insight about the nature of YAH. Because even though Yahshua might not literary be YAH, he is seen as the closest to YAH of all people, the number one man when it comes to expressing YAH,s being. There are also Rastafari (mainly the Twelve Tribes of Israel) that don’t see His Majesty as Yah ór Christ but as YAH’s anointed King and rightful ruler over Ysrayl, with a Christ like nature. 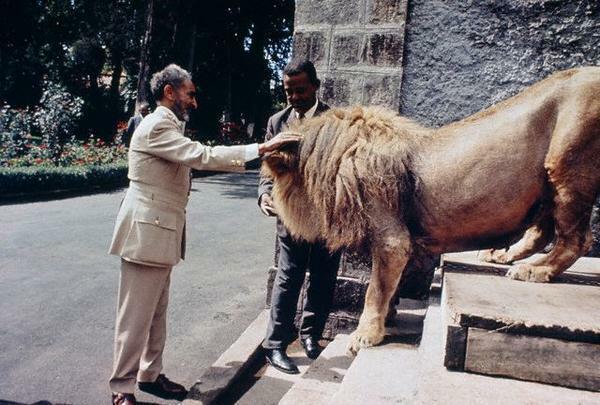 Haile Selassie I is greatly respected for this and for everything that He has meant for the livity. 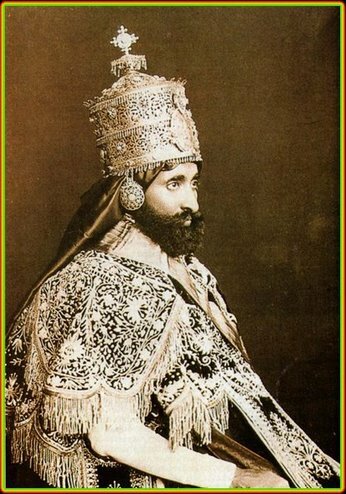 But they hold the faith that the Christ still has to be revealed, and that it will be someone that will be seated on the throne of Ethiopia from the lineage of King David, so their meditation is on the restoration of the monarchy of Ethiopia. -A good and righteous Emperor. In Ethiopia Haile Selassie I is mostly well respected and many Ethiopians hold warm memories to the times that Haile Selassie I ruled Ethiopia, someone to look at as source for inspiration and have great Raspect for because of His kindness, achievements, teachings, efforts towards domestic unity, equality, and because He was always there for the benefit of the country and its people. 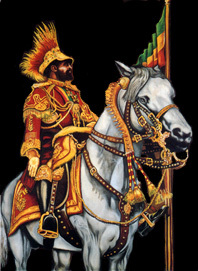 In Ethiopia the idea of His Majesty being Christ or YAH is not shared by most. 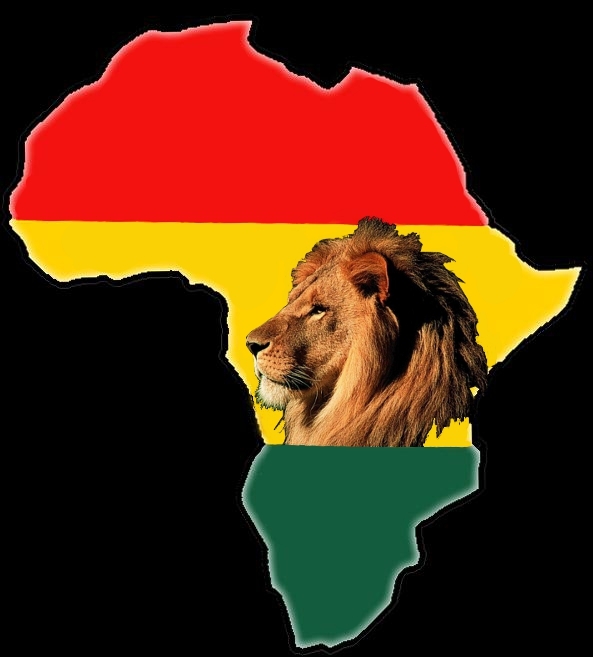 Although because of I&I Rastafari they are finding more love for H.I.M. and the sense of pride is growing as they are slowly starting to realize what they are becoming a part of. There is also a Biblical/Rastafari saying that a prophet (a man of God) is never honored in his own country, this might have something to do with that. 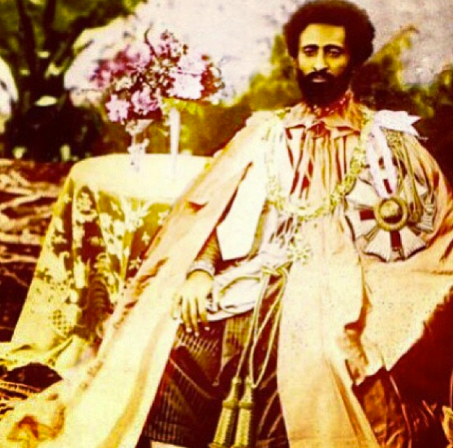 As mentioned above some of I&I see the divine nature of Emperor Haile Selassie I, we just want to elaborate on this a little bit further as this is what Rastafari is all about. It is a question of faith, and different people will have different insights, we just ask to have some Raspect for each others opinions so we might learn something from one and other. What we would like to say about this matter is that things don’t always come as we might expect. When people think of Christ there are all kinds of expectations because of the things written in the Bible about Yahshua (walking on water, curing the sick, making blind people see again, raising the dead, feeding a 1000 people with 1 loaf of bread, having in depth answers about Life) Not to say that miracles like this are not possible but they can also be read as parables not to be taken too literally, leaving room to take a more realistic approach to this. The scriptures in the Bible that show us what is expected from Christ when He returns. If we stay true to scripture, it will make it easier to identify H.I.M. in these days. For one, it is written that Christ would stem from the blood line of King David being the last Ruling King in an unending line of Kings, with the title King of Kings, Lord of Lords, The Conquering Lion from the Tribe of Judah…(spread out over different passages but these are all titles mentioned in the Bible in regard of Christ). When we stay true to scriptures this gives a clear indication where to look, as there is only one True Royal family (especially with one of them having that name or title) that can trace its roots all the way back to King David and that is the Royal Family of Ethiopia with Haile Selassie I as the 225th (and last) King in this long line of Kings. The english royal family also make claims to be descendants from King David and is the reason why they call their throne, the throne of David. but their history and actions throughout time should make us know that they are not the true descendants. The Royal Line of Ethiopia has held on to ancient Biblical rituals, rites and ceremonies. Having one of the first churches in the world, always upholding Yahshua’s name, being fully conscious of their identity (for more then 2500 years). The english royal family on the other hand don’t have that heritage and don’t live by it, it’s more a rumor that they spread themselves…The english monarchy only began in the year 871 and there is also nothing that indicates that the English monarchy upheld ancient biblical believes. On the contrary they have shown the opposite of what they are supposed to project as worthy Christians. They don’t have high morals or live according to Biblical standard. They are even thought to be the head of babylon by many or at least a part of...involving themselves with all kinds of disgraceful acts throughout history. So if people want to stay true to scripture, then we need make a choice between these two families as there are no others. 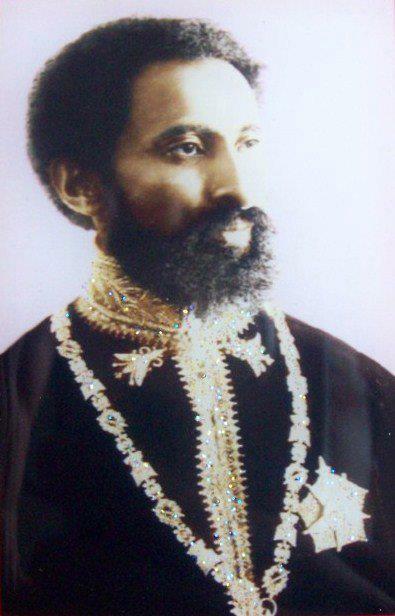 The Ancient Royal Ethiopian Monarchy or the english... We have the choice in believing that Haile Selassie I is Christ (or maybe one of his sons in the future) or… prince charles and maybe one of his sons. The other choice would be that we don’t follow scripture and believe that anybody (with the right qualities) can be Christ and doesn’t need to have any (known) Royal lineage. Rastafari prefer to have faith in the Bible...and to fulfill it, giving the Bible more meaning by proving it’s not just story that’s not true in the end, making all that we went through irrelevant. - Second. According to scripture Christ will come with a New Name, and His name shall be "Dreadful" in ears of the heathen and His Followers shall be called after His name…and they shall sing and dance for HIM. This part of scripture is also a big sign, RASTAFARI is the name of a man many have faith or know is the Christ, and we are called Rastafari after His name, having Dreadlocks, singing and dancing for HIM…fulfilling this part of Prophecy. 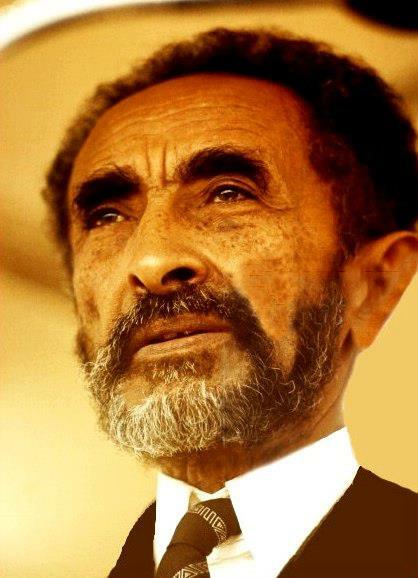 Haile Selassie I is the only One being revered as Christ for this long period of time (since 1930) and this faith is only getting bigger and stronger, as Rastafari is growing on a world wide scale. 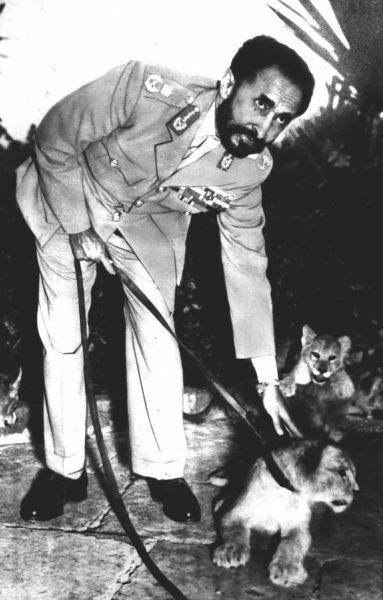 Haile Selassie I is known for his fight against iniquity and message of righteousness. 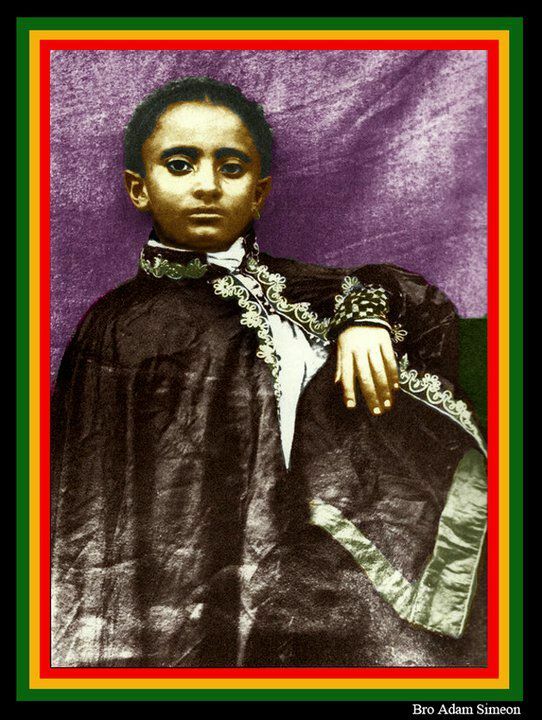 Haile Selassie I always spoke in a manner that was of a kindhearted, non judging nature and always spread the message of Yahshua and the Bible. That is the way people could see this fight against evil, not by going against each other in some kind of physical fight (although His struggle with mussolini can be seen in this light also). But by the message of Positivity and Love He expressed that has the potential to inspire people to turn away from evil deeds (that would be the defeat). 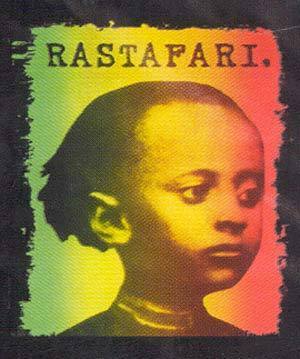 Rastafari are very conscious of who we are (African Ysraylites) and this is mainly because of Haile Selassie I and his Royal Lineage. 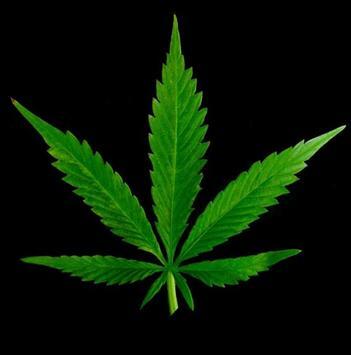 Once again it is the Seed (or consciousness) that Haile Selassie I planted in I&I that makes this possible. Rastafari have always been on the forefront for Repatriation and have the possibility to Inspire other people to actually make that step. When this happens it will be because of Haile Selassie I, note that His Majesty is the only African leader that gave a land grant in Ethiopia (Shashemane) for the return of exiled Africans in the west. A couple of hundred Rastafari are living there now. 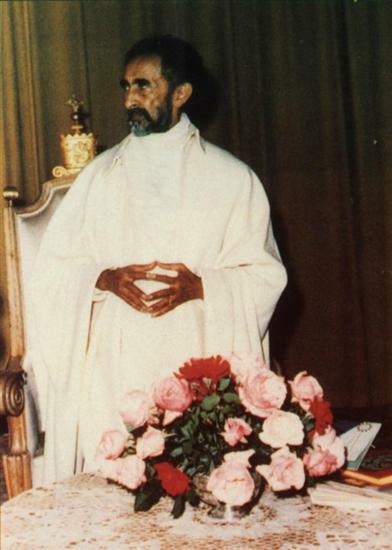 The fact that Haile Selassie I Lived before Judgment day and the prophesied changes that accompany this time never happened during His stay (scriptural requirement), is also why a lot of people have trouble in believing in the divinity of Haile Selassie I. 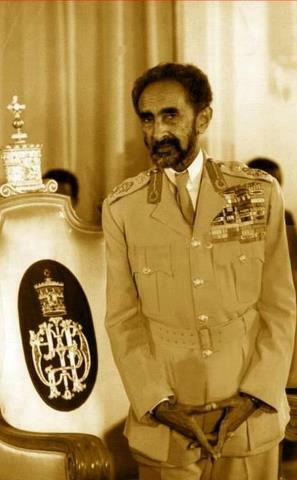 But when seen in a less physical way of Himself but through the remnant of Rastafari it can still fit in that Prophecy. Even more so this comes from the misoverstanding that Judgement Day comes when Christ returns, when in fact Judgement Day is something to happen after 1000 years of peace, after the Armageddon (the unveiling) and the Tribulation days. Which accompany the return of Christ, and has come to reality during his Majesties Life with World wars 1 and 2 and all the other wars that have been fought in the past millennium. This is how things can be seen, not with Haile Selassie I being directly and personal responsible for some changes that will happen (on a world wide level). But as the instigator, the One who lights the Fire, inspiring a large group of followers that carry on His work that have the potential to make that change. 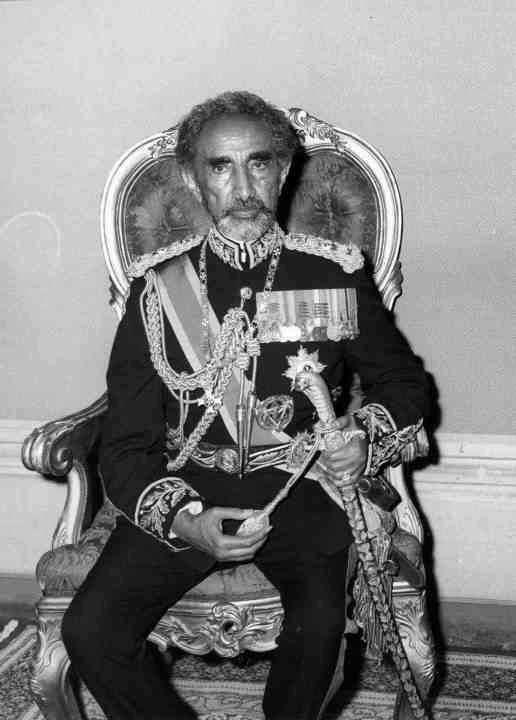 Something else that some people might find interesting is the fact that All three personally chosen Kings by YAH of Incient Ysrayl in the Ible, King David, King Saul and King Solomon sat on the throne for 40 years, just like Haile Selassie I who seated it for 40 years (excluding the 5 years in exile). 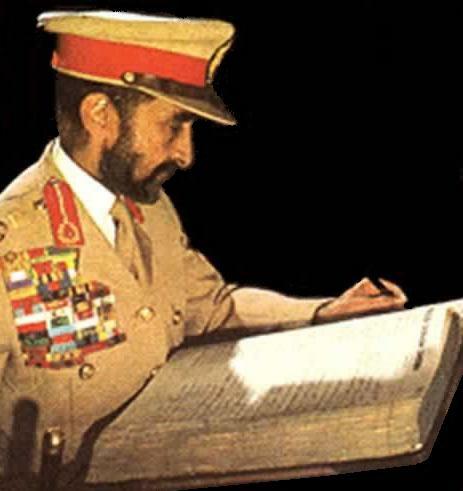 What is also Important to mention is the fact that Haile Selassie I Himself is a devout Christian, and just as how Rastafari worship and follow the teachings of His Majesty and pass this on to the rest of the world, Haile Selassie I received his teachings from the Bible and from Yahshua. 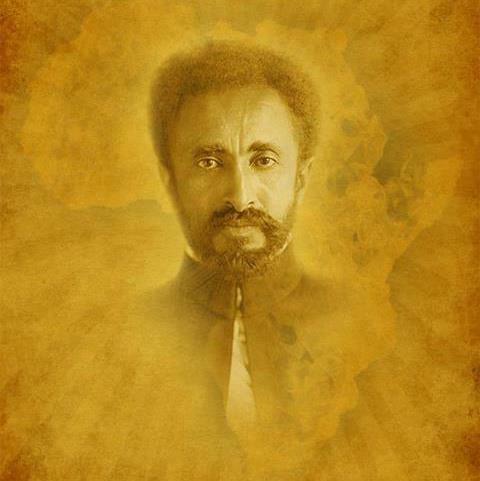 So therefore the message of Christ is passed on through Haile Selassie I, whether he is actually Christ or not. So when you follow His Majesty you follow Christ, it’s not a new message or something He just made up. Some people have difficulty excepting His Majesty as Christ because they say that he Himself denied it, so why go against that? 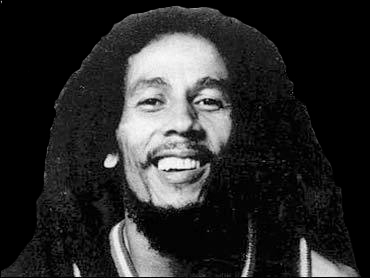 He gave a Message to the Rastafari that we should first Liberate I-self in Jamaica before Repatriation and to Organize and Centralize. He also granted a piece of land in Ethiopia (Shashemane) for people in western countries brought there through the slave trade and who would like to Repatriate. And He sent a special envoy of the Ethiopian Orthodox Church to Jamaica to teach Jamaicans about His Faith. 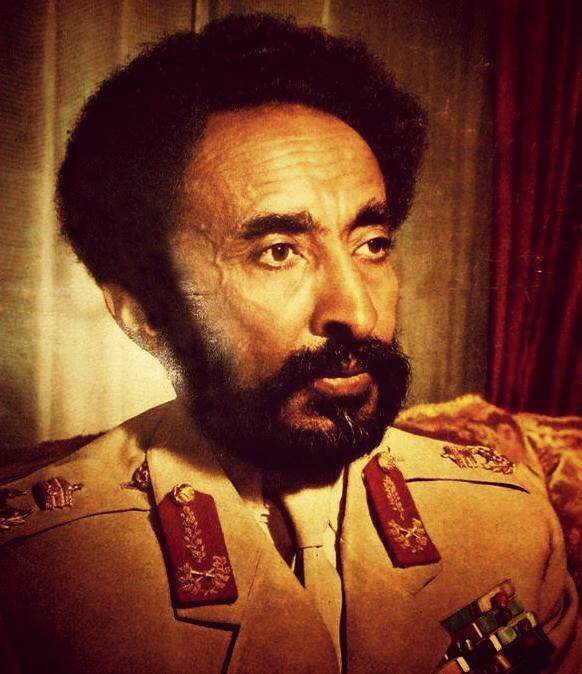 Haile Selassie I Himself was not responsible for how Rastafari came to worship H.I.M. 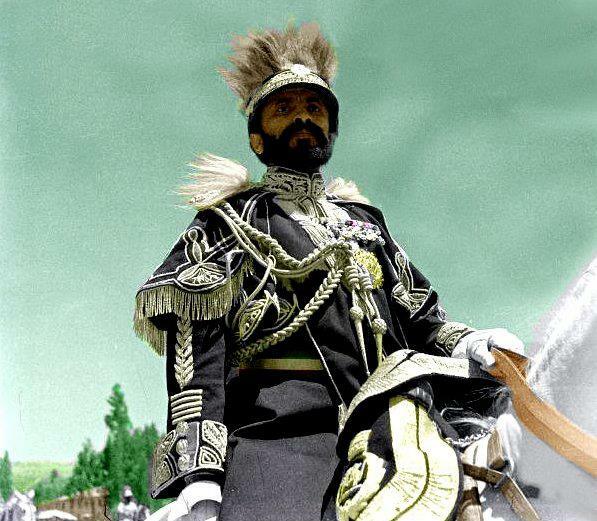 Haile Selassie I has many Characteristics that should accompany the Christ and fits in the prophecies, it’s only when people have high unrealistic expectations that it becomes complicated. After all this we would still like to remind people (who may not be Rastafari) that you don’t need to see Haile Selassie I as YAH/Christ if you don’t feel like it. But there is nothing wrong with showing some Raspect and maybe some interest. Maybe another man with the same name, lineage and achieving the same things that Haile Selassie I has, will come along to satisfy the peoples expectations. Time will Tell. For now we would like for people to take time and think about what is being said here and maybe do some more research so you might find the answers in I&I own Heart.